Introducing the new Sun Bikini® top by Bestop®. 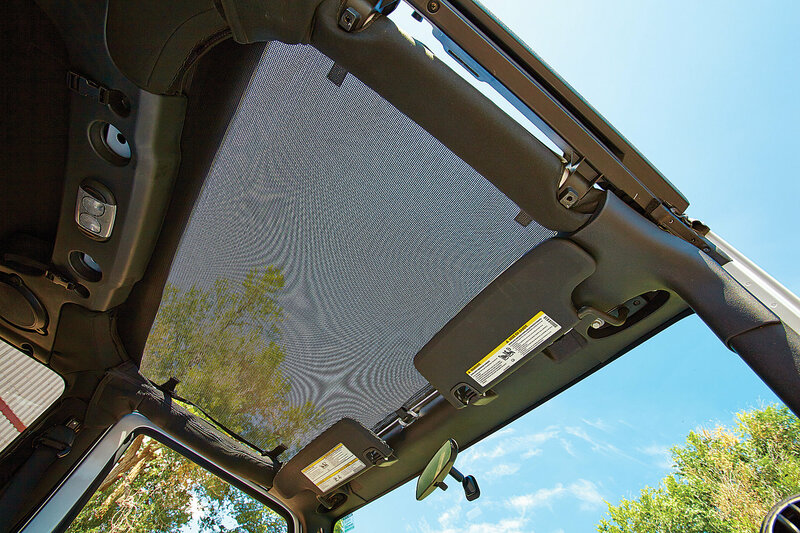 This interior sun shade easily attaches above the driver and passenger seats, and stays there whether your soft top is on or off the vehicle. This new no drill attachment design uses simple Hook & Loop fasteners and J-Hook system and doesnt require use of windshield channel. 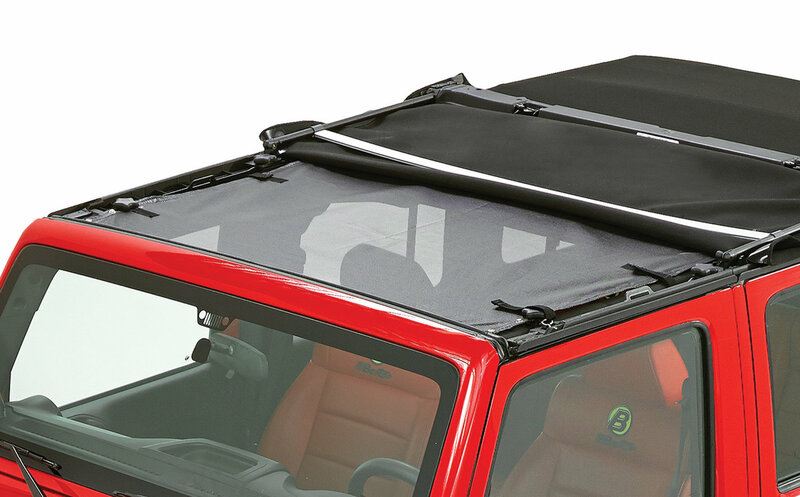 Installs in just a couple of minutes and is available in Mesh or Solid Black Diamond Fabric. Works great. Blocks sun well. Just wish the 2nd row top door straps also had grommets like the front to flap less.